Located within walking distance to all La Conner has to offer. Our friendly staff is here to assist you. This spacious and inviting room is our finest accommodation for your perfect escape. Sleep in ultimate comfort on your King Size Bed. Experience spectacular views and watch as yachts float by on your private balcony. Cozy up by your fireplace or unwind in your jacuzzi bath tub. Attached, is a small side room with two charming twin bunks. 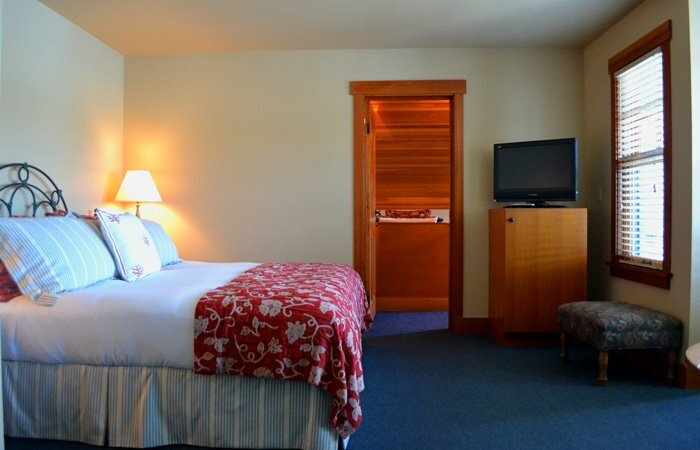 This luxurious non-view room features a Queen Size bed, cozy sitting area and a gas fireplace. We have one “Special Queen Jacuzzi” room that features the spectacular view and private balcony. We also have another non-view Queen Jacuzzi room that we like to call the “Honeymoon Suite” that features a giant 2-person Jacuzzi bath tub right in the bedroom. 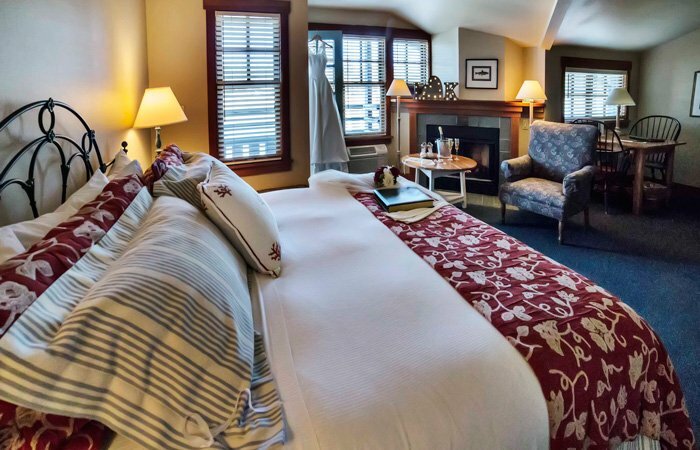 This luxurious room features a Queen Size bed, cozy sitting area and a gas fireplace. 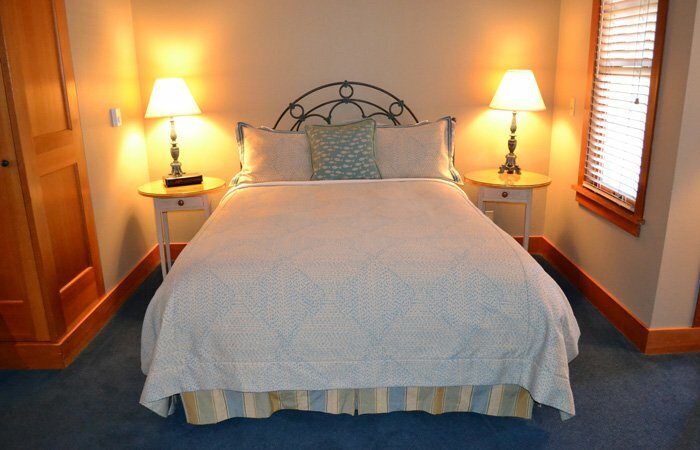 Standard bath and basic amenities are included for your comfort. 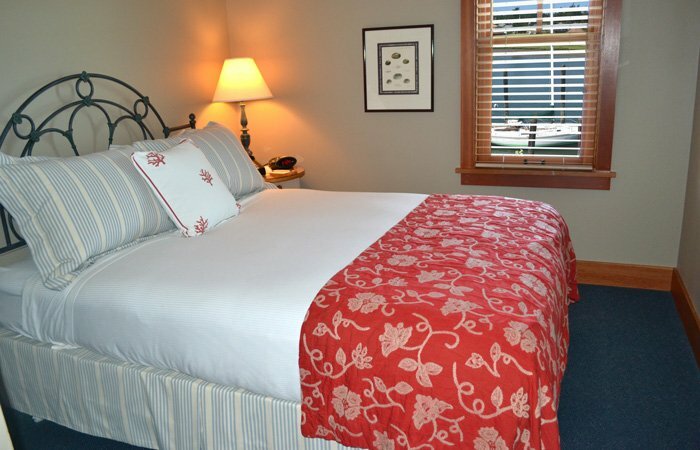 Most Queen Rooms include a private balcony and a beautiful water view. 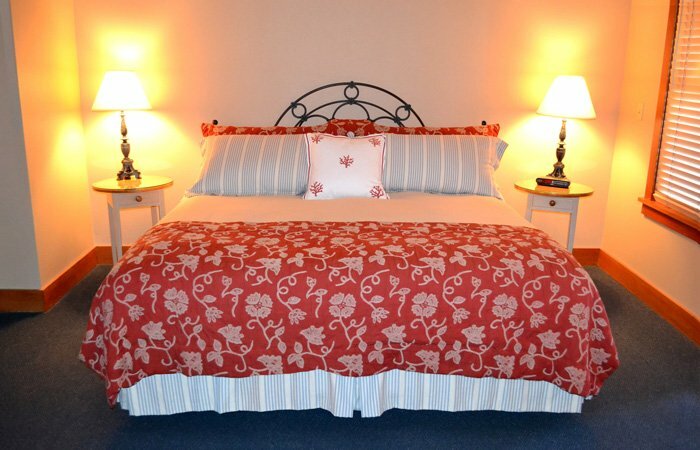 This desirable suite is ideal for families or couples traveling together. The main room features a luxurious King Size bed, sitting area, gas fire-place, Jacuzzi bath tub and private balcony. Attached, is a small side room with a Queen Size bed only, and it’s own TV/DVD player and standard bathroom (no view, balcony, or gas fireplace in the side room). This spacious and inviting room is our finest accommodation for your perfect escape. Sleep in ultimate comfort on your King Size Bed. Experience spectacular views and watch as yachts float by on your private balcony. Cozy up by your fireplace or unwind in your Jacuzzi bath tub. It’s Our Pleasure To Spoil You! Looking for a romantic suite to relax in after your big day? Utilize one of our King Parlor rooms for you and your new spouse. Sleep in ultimate comfort on your King Size Bed. Experience spectacular views and watch as yachts float by on your private balcony. Cozy up by your fireplace or unwind in your Jacuzzi bath tub. It’s our pleasure to spoil you!